Haley Hasler’s work is a contemporary meditation on a Dutch Baroque still life. The artist’s self-portrait is a commanding presence in red atop a table laden with the trimmings of an extensive meal. The sparseness of the background and several of the items that Hasler includes on the table recall the still life tradition. 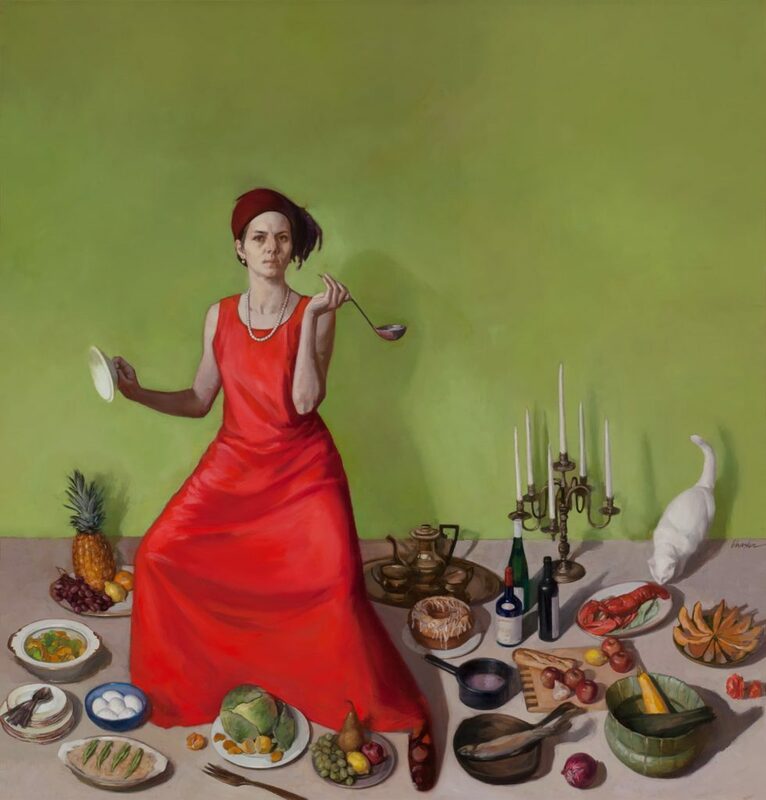 The bowl of eggs the artist uncovers represent fertility, fish imply a “slippery” or dubious nature while also alluding to luxurious and bountiful (over)consumption, the cat sniffing the lobster also serves as a sinister and untrustworthy presence. Peeled fruit suggests a meal interrupted and references our own mortality—reminding the viewer that the meal could be disturbed at any time. Hasler’s work almost always includes a self-portrait, and references the balancing act of work and family.